Explore wine. Create your own tasting experience. Get to know the participating wineries. Discover something new every week. 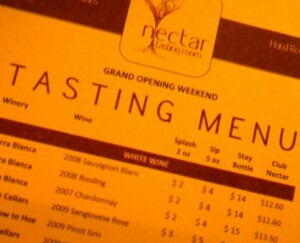 The Nectar Tasting Room menu is a unique combination of technology, innovation and information. Visitors to the tasting room can explore the 30+ wines using the iPad menu or a standard paper menu. Those using the iPad menu can learn more about each wine including tasting notes, production information and food pairings. Guests can also learn about each of the five wineries, explore winery web sites, write on our Facebook wall or even play a friendly game of Angry Birds. Splash – Want to explore wines in small 2 ounce samples before committing to a full glass or bottle? Try the Splash 2oz pour for something new or mix and match different wines to create your own flight. Weekly, “flight of the night” specials offer discounts on pre-built wine flights. Sip – Ready for a glass of your favorite? Order a 5 ounce pour of any wine on the menu. Club Nectar members get $1 off all glass pours for their annual membership. Tired of over inflated wine prices? Sip prices start at just $4. Stay – Order a bottle to stay and enjoy with friends or to take home. Bottle prices are the same as what you’ll find at the winery, no major mark ups here. Club Nectar members always get 10% of every bottle purchase whether you’re staying or taking it to go. 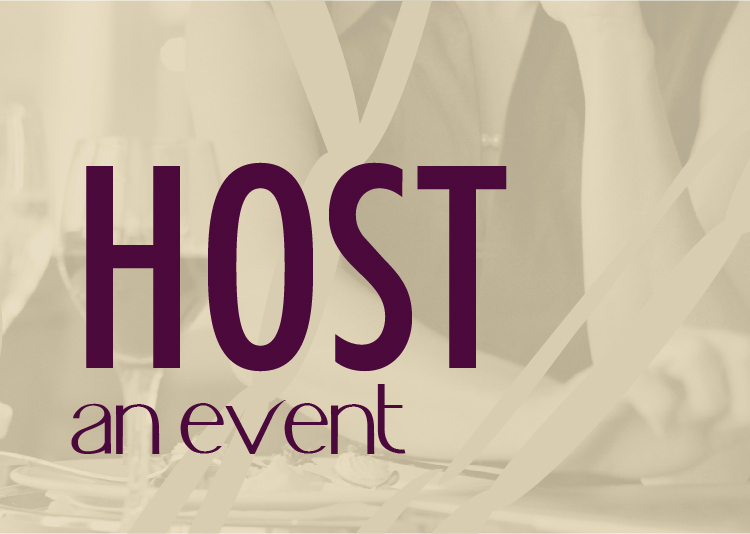 Tasting Bar – Every week, five wines are available at the tasting bar. Enjoy 5 one ounce pours for just $5. The tasting fee is refundable with purchase. Every week a new group of five wines is available. Those visitors who explore wines using the iPad menu can sign in and rate wines they like or don’t like (1-5 stars). Sign in on future visits and the menu will remind you of what you liked or didn’t like. 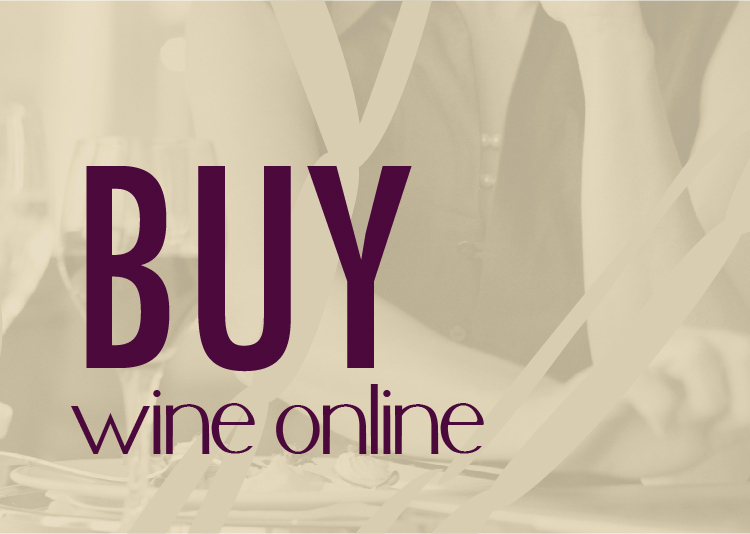 This will help make your tasting experience and wine purchases easier. 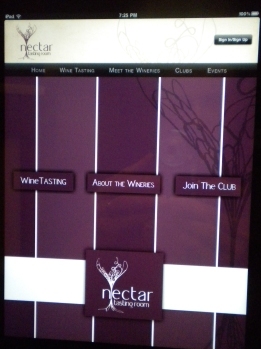 The iPad menu was inspired by Pithy Wine Company and created by winery web and ecommerce specialists Vin65. The web based application offers quick real time changes and many features that have yet to be explored on my end. Keep your eyes out for more enhancements in the coming months. Our goal at Nectar Tasting Room is to provide wine lovers more information about the winery and the wine and to provide the wine novice a way to safely explore and learn. We hope to see you soon. Enjoy life with friends, drink happy! Thanks for the shout out. The video looks great (love the intro) and I love seeing the iPad in use. Love Pithy down here in my neck of the woods. Congrats Josh, everything is looking great: iPad, paper menus, the shop, etc. Good luck. the name of the company that is doing it called Conceptic and from what I have seen in their web site they are working in 9 countries and heading to the states ! !